In 1896 there were three bells hung in a wooden bellframe, Elphick type 'V', Pickford Group 6.B. which survives. 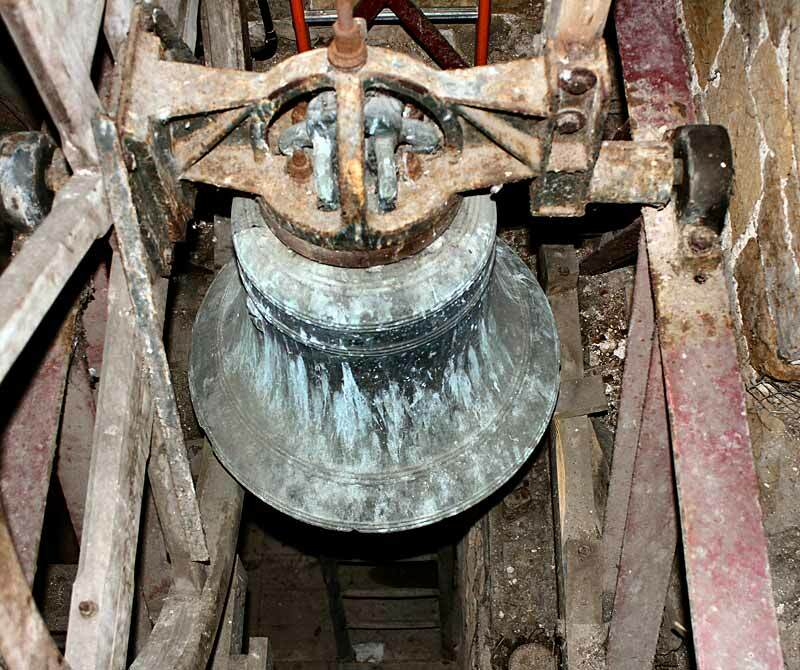 In that year two bells were removed to provide metal for the new treble at North Wheatley, whilst the third bell, the treble, remained in the tower until 1958 when it was sold to Taylors of Loughborough to offset the restoration of the North Wheatley bells. It was acquired by Mr George Dawson in 1976 who later sold it to Upper Broughton where it now hangs as the treble. Of the two bells disposed of in 1896 nothing is known. However, the inscription on the new bell at North Wheatley, which the bells were sold to provide for, is identical to that used by the Smith family of York, so there may be a clue there. The treble is blank, a product of the Seliok family of Nottingham and dates from the period 1470-1520.